Antich Automotive is a NAPA AutoCare Center, which means 100% of our repairs are covered by NAPA’s “Peace of Mind” warranty extending for 24 months or 24,000 miles nationwide. We are also the largest independent automotive, truck, and fleet repair center in Humboldt County with nearly 11,000 square feet to handle just about every auto repair under the sun. 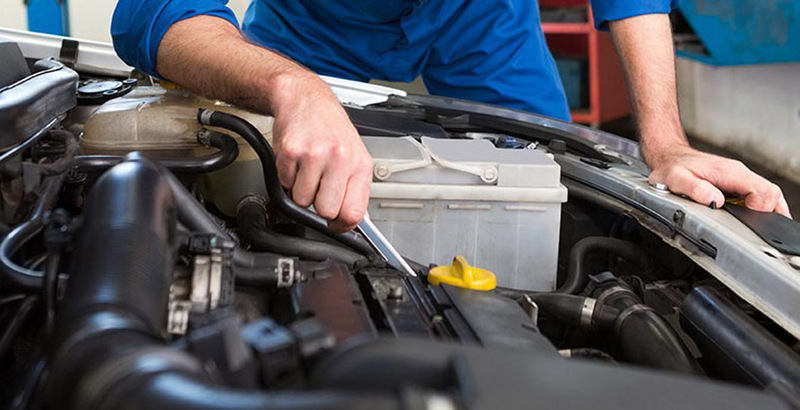 Our technicians are competent and completely equipped for all levels of service and repair, and we are one of the premier diesel repair and service facilities in the Eureka area. Whether you own a fleet of vehicles or just one, the best way to avoid serious breakdowns and minimize the high costs associated with automotive repair is by doing routine maintenance. Preventive vehicle maintenance is simply what the manufacturer of your vehicle suggests getting done to keep your vehicle going. Whether you have a car, diesel truck, or medium-duty equipment, we provide the maintenance services to keep it running well, at half the price of the dealership. Antich Automotive is a NAPA authorized service center with highly qualified and trained diesel technicians in our shop. We service many medium-duty diesel trucks in the Eureka area, offering everything from PM schedules to diesel engine rebuilds. With diagnostic software in-house, we are able to quickly and accurately determine the repair needed for your truck (or trucks!). At Antich Automotive, we work hard to meet the needs of Eureka area drivers by providing complete services for cars and trucks, including oil changes for all types of gas and diesel engines. We additionally offer a complimentary 42-point inspection with your lube service to ensure your vehicle or equipment will perform safely and reliably. Antich Automotive provides full-service preventive maintenance plans for fleet vehicles of any size or type, including Ford Powerstroke, GM Duramax, Dodge Cummins, and other American and Asian cars and trucks. When fleet vehicles are properly maintained, problems can be predicted or prevented, and repairs can be completed before failure. We can help you plan service in advance—at the best possible time instead of the worst. If you do need a repair, we’ll work to get you back on the road quickly. Stop and go driving, hot weather driving, rocking a vehicle in snow or mud, or boat or RV towing? All of these driving conditions create problems for the second most expensive mechanical component of today's vehicles—the transmission. If your vehicle is subjected to any or all of these conditions, a transmission check should be high on your list of preventative maintenance. If you do have a major transmission problem, our skilled mechanics have the training and expertise to do a rebuild, saving you the cost of a transmission replacement. Complete engine service and repair can be anything from a replacement remanufactured engine to a leak repair to a new timing belt to manufacturer’s mile interval services. Our technicians can appropriately handle any truck engine issue.